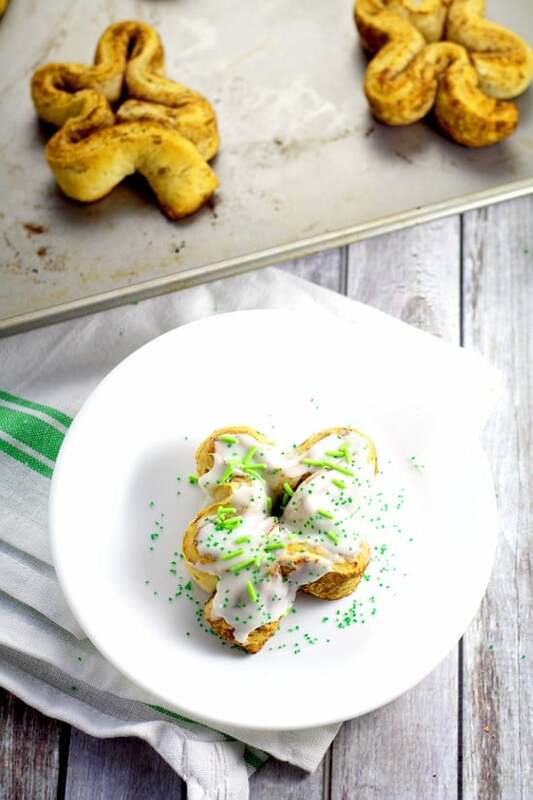 Adorable, but totally easy Shamrock Cinnamon Rolls make a festive St Patrick’s Day breakfast that the kids will love! In my dreams, I’m one of those awesome Pinterest-perfect moms with crafts and holiday goodies and the whole 9 yards, but in reality, I’m just “exhausted under-achieving mom” most of the time. But don’t worry. I’ve come to terms with it for the most part. 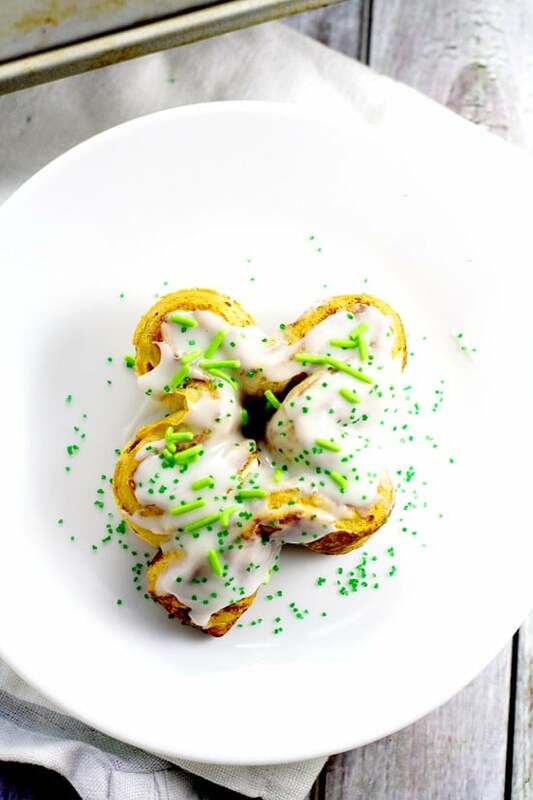 I do still like to put in some effort to the Pinterest-y thing though, which is what makes these Shamrock Cinnamon Rolls so perfect. 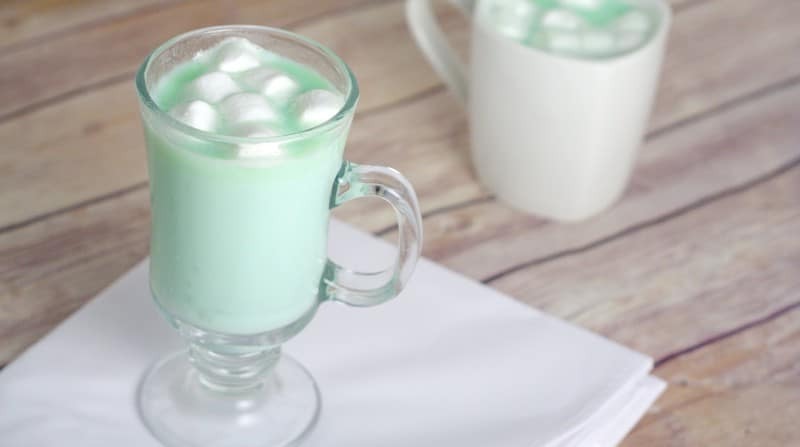 They’re adorable and fun AND really really easy. 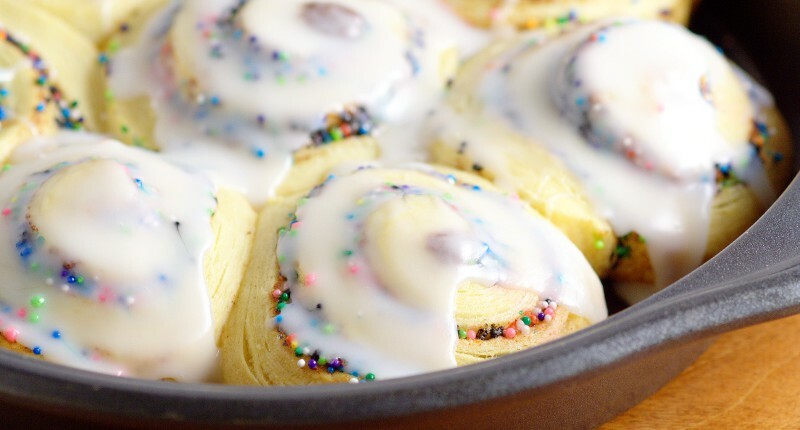 Your kids will love them, and this festive breakfast won’t eat up all your precious free time! 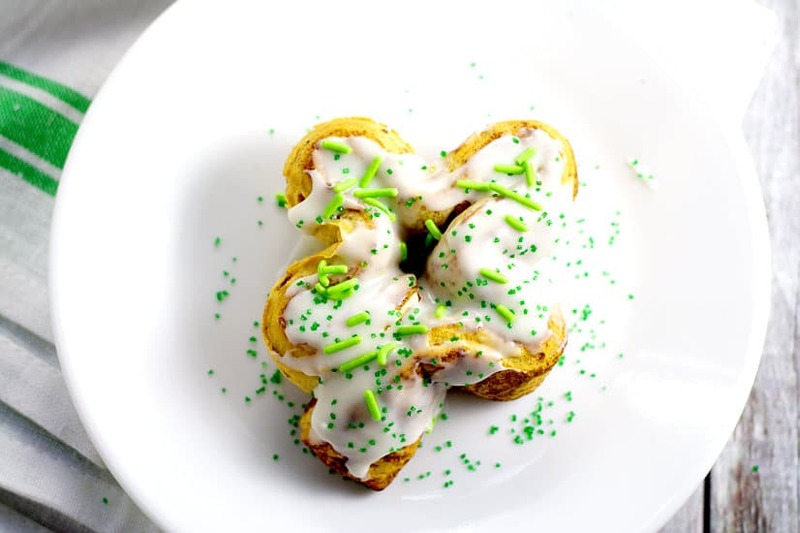 Pre-packaged cinnamon rolls and sprinkles are what makes these Shamrock Cinnamon Rolls festive and fun, and those same things are what makes them so simple (and sanity-saving!). 1. 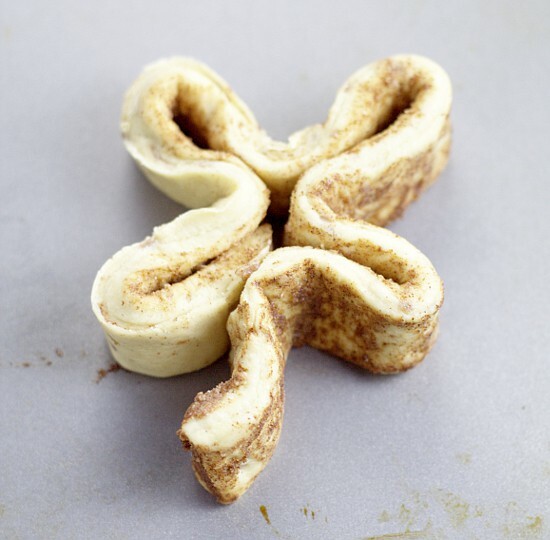 Remove cinnamon rolls from package. Separate so that you have 6-8 separate rolls. 2. 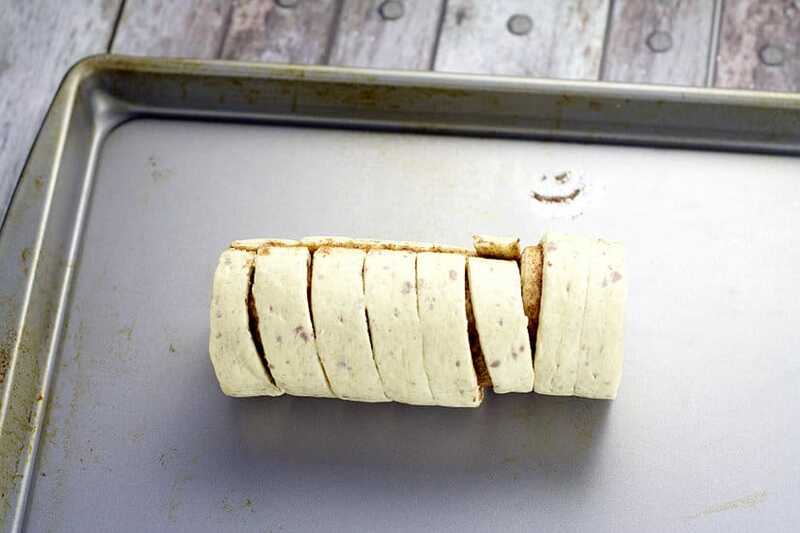 Unroll a cinnamon roll to prepare it to shape. 3. 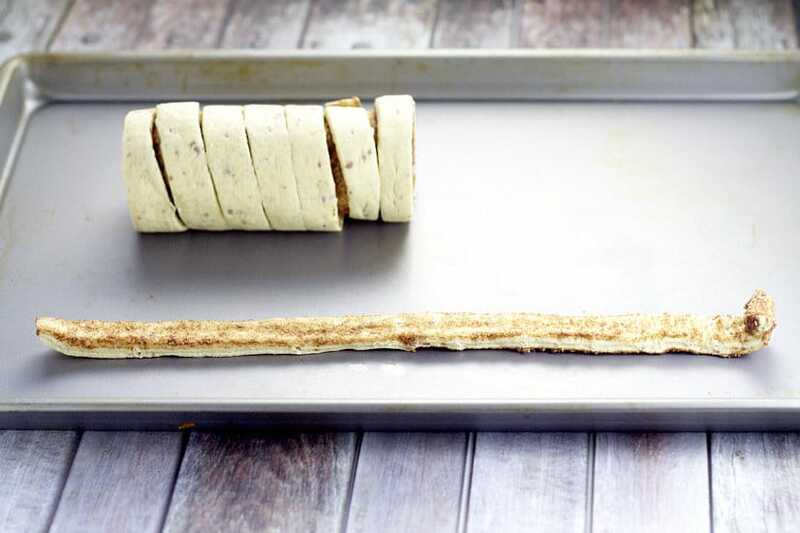 Shape the cinnamon roll strip by forming three loops, leaving a little bit for the stem. Be sure to put the cinnamon coated part on the inside of the loops. 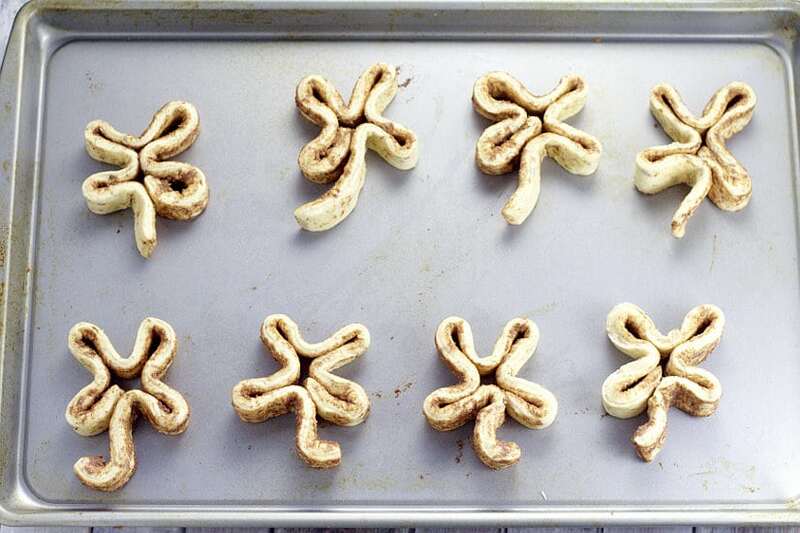 You may need to make adjustments for the first cinnamon roll or two, until you get the hang of it. 4. 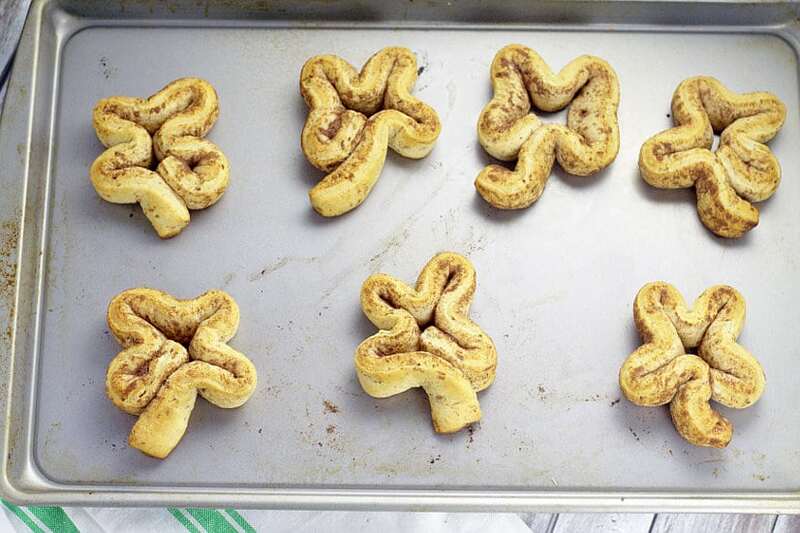 Bake shamrock cinnamon rolls according to package instructions. 5. Drizzle on the icing and top with sprinkles. 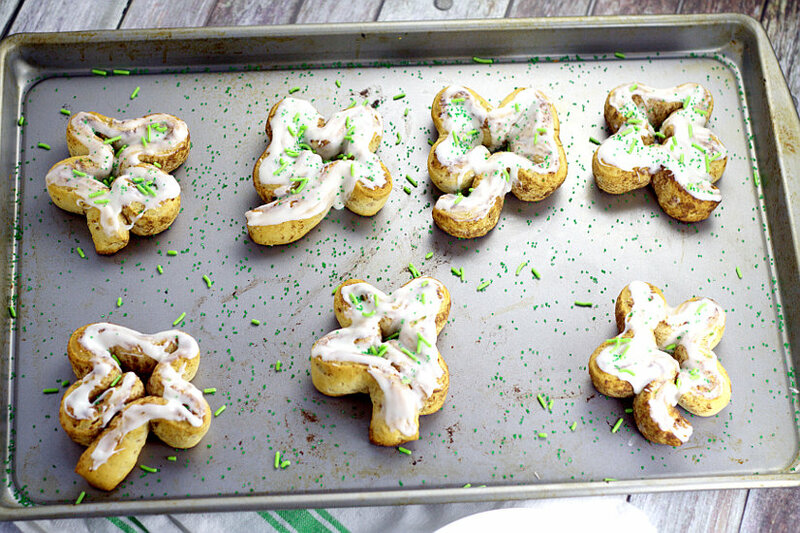 Did you like this Shamrock Cinnamon Rolls idea? 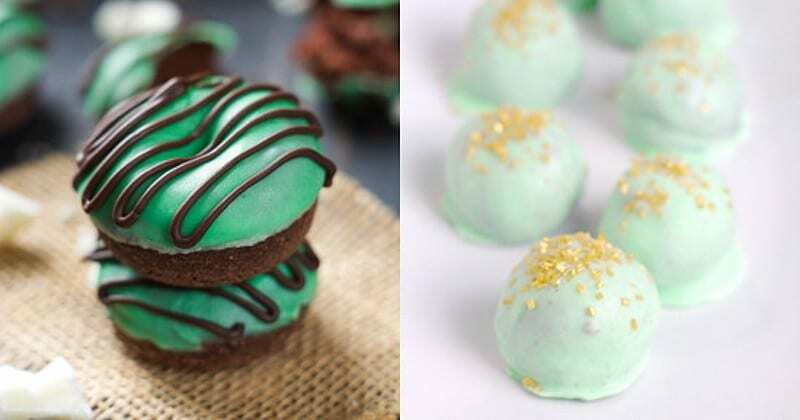 Find more on my St Patrick’s Day and Breakfast boards on Pinterest! These are so cool! I love how creative they are! Thank you for sharing! Such a cute idea! And easy….thanks for sharing with the Thursday Blog Hop!! What a darling idea! Thanks for linking up to Link Party Palooza! I’ve chosen your link as my favorite for the week and it will be featured on all of our sites! Have a great week!